Nutrition experts keep on telling us that we should include nuts into our daily diet. Apparently, these little wonders are packed with heart-healthy fats, protein, vitamins, and minerals. They’re nature’s way of showing us that good things often come in small packages! Pairing them with cheese is a good idea for a super healthy snack – great for people with special nutritional needs such seniors, children or pregnant women – or a simple yet delish dessert. Manchego cheese goes well with different types of nuts. 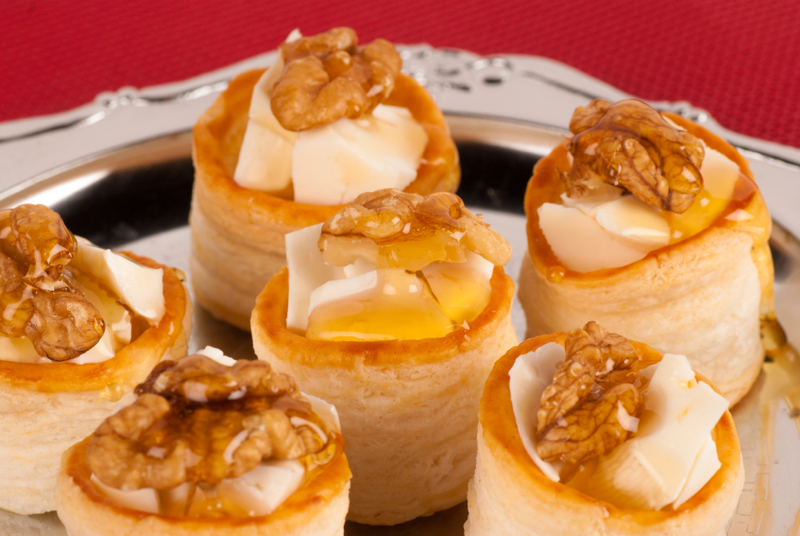 Having tried it in different combinations, I would recommend pairing your Manchego with walnuts, almonds or pecan nuts. I’ll dedicate this post to the Manchego & walnut combination, my favorite couple from the three mentioned before, and a heavenly combination when made as a trio with a little honey on the top. Yum! But, why is Manchego & walnuts such a great pair? The crunchiness of walnuts is a tasty contrast to the texture of the Manchego. Also walnuts have an earthy flavor that compliments the taste of the Manchega sheeps’ milk really well. Nutritionally, walnuts are great for the heart and arteries. They have high amounts of alpha linoleic acid (ALA), an acid that helps to prevent heart arrhythmias, reducing inflammation and oxidation in the arteries. Great news! So, what are you waiting for? Do like me: At least twice per week, enjoy a platter of Manchego cheese sprinkled with walnuts and drizzled with Rosemary honey – Health and pleasure on a plate.